Manwaring Moments: What is the DEAL?! Today I went shopping to find a new spring dress. No black or navy or brown allowed. (That's all I EVER wear.) I forced myself to look at a rack with a little color and then glanced up at the sign..."Senior Citizen Discount". Okaaaaaayyy moving on to the next store. I'm looking again and hear women talking, I glance up and they're OLD. Granny old, white hair on their heads and white hair on their chins. Apparently I like the old lady clothes. Somebody HELP ME!!! OK that is funny. Where on earth were you shopping? I just have to say I LOVE the Macy's there. Yes we have Macy's here too but for some reason I can always find great stuff at the one there - it is organized better or something. A pretty spring dress does sound happy doesn't it! I cannot find dresses...only skirts now days - try Dillards, or give me a call and we'll go out and shop that granny rack together! Now that was hilarious! Good luck! Oh, I also forgot to say, thanks for making me laugh my head off! White hair air on the chin? Really?? Is that what we have to look forward too??? White hair on their chins?! LOL Too funny, Elena. You are too funny!! If it makes you feel better at Kohls we put the Senior discount sign in all departments.. children, boys, womens, mens... Good luck! I hope you find a cute one! So funny Lenes! And Wendy's "pop tarts" comment made me LOL!! I can't find a dress to save my life either, but are you shopping in the Women's dept or the Misses dept? Better check the signs. Come visit me and we'll go a huntin'. I need an excuse and some help myself. All I wear are skirts. OH MY GOODNESS!!! I'M not the only one after all with this disease!!! I LOVE the "old clothes". I seriously think the purchases I buy are just so darn cute until I get them home to show them off to Mark. He always gives me that raised eyebrow which means, "that's a granny dress!" We'd make great shopping buds after all, except for all of the grumbling we would do together trying to force ourselves to enjoy it! HA! 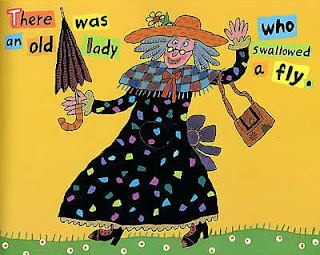 I like old lady clothes too! Especially the ones at Kohls! They're all very comfy! I say wear whatever makes you feel good :)! You do not like old lady clothes. I know you don't. "White hair on their chins..." that cracked me up! Oh that is so funny Elena! I just had two of my friends (who both happen to be quite stylish) go shopping with me. I told them I promised to try on anything they brought to the dressing room. I NEEDED something other than plain jeans and t-shirts. I have t- shirts in every style mind you. Good ones and old ones. Long sleeve and short sleeve. I did come home with some things I NEVER would have picked out...and I think I actually like them! YOu know that you are going to find the best spring dress and then have to hang it in the closet for another month. It is freezing here and I suspect that you are cold there too.....I am so ready for flip-flops and capris and open windows and sunshine. Good luck on the dress!!!! You are so funny. I miss you! Pick what you like and FLAUNT IT, BABY!!! Maybe it just shows that good taste matures into better taste? !